Yossi Klein Halevi. Photo by Ilir Bajraktari. The Tower, October 2013. 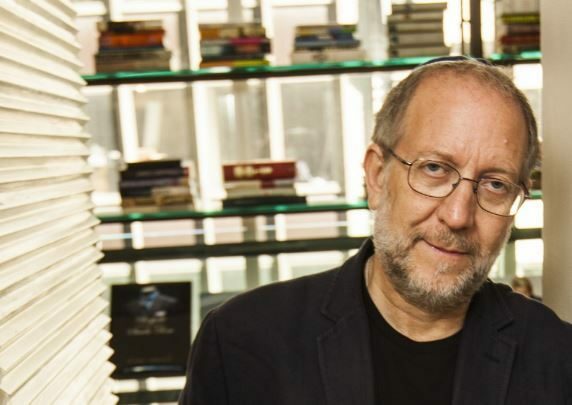 Yossi Klein Halevi is the author of the acclaimed book Like Dreamers: The Story of the Israeli Paratroopers Who Reunited Jerusalem and Divided a Nation. 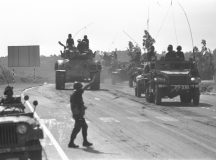 In this in-depth interview with Fathom Deputy Editor Calev Ben-Dor, Halevi argues that the Six-Day War in 1967 signalled the beginning of the end of one utopian movement, the Kibbutz, and the beginning of another, focused on settlements. Ranging over the transformations Israeli society has undergone in the last 50 years, Halevi claims that it is an increasingly post-utopian society and that at its heart is an ‘Israeli Centre’ that is unpersuaded by either the vision of the ‘Greater Land of Israel’ nor of ‘Peace Now’. Calev Ben-Dor: Can you share some memories from the period surrounding the 1967 Six-Day War? Yossi Klein Halevi: My most primal memory was in the latter part of May 1967, watching the news with my father, a Holocaust survivor from Hungary who constantly carried that experience with him. We saw crowds of demonstrators chanting ‘death to Israel’ and waving banners imprinted with skulls and cross-bones, which, as a 14-year-old boy, made a very deep impression on me. Both my father and I had this same dread that some version of the Holocaust was about to re-occur. And that feeling was repeated across the Jewish world, from Moscow to Tel Aviv. I recall four shocks. The first shock of that time was that merely two decades after the Holocaust those genocidal impulses, reflected by the demonstrators, hadn’t been exhausted. The second shock was the reaction of the world. I remember my father saying to me not to worry because France – with whom Israel had a very active military relationship – was on our side. Yet the French subsequently turned against Israel. The third shock was the UN. 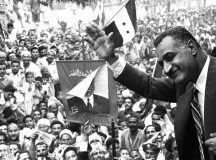 Nasser ordered the UN peacekeeping forces out of the Sinai Peninsula and they simply complied – without any UN Security Council meeting or debate. Those peacekeeping forces had been placed in the Peninsula after the Suez War in 1956, and their withdrawal created a situation in which Israel suddenly found itself facing the Egyptian army. The fourth shock was the US. While this was a period before the American-Israeli strategic relationship had evolved – Israel was not considered a strategic ally to America until after the Six-Day War when it had proven its military value – President Dwight Eisenhower had given David Ben-Gurion an explicit promise after the Suez War that if Egypt once again tried to shut the Straits of Tiran (Israel’s southern shipping route to the East) the US would organise an international flotilla to break the siege. Yet in 1967 when Israel’s Foreign Minister Abba Eban went to see President Lyndon B. Johnson, who was a deeply sympathetic president to Israel, Johnson explained that due to his commitments in Vietnam he was unable to open a second front and so left Eban empty handed. These shocks of May 1967 were followed by the victory in June 1967. So there was an emotional trajectory: from relief when we realised that Israel was not going to be destroyed, to joy and pride at the defeat of our enemies, and finally ecstasy – even a kind of religious ecstasy for many Jews – at the reversal: from destruction to redemption. It was a re-enactment similar to the festival of Purim – the reversal of a genocidal threat and Haman hanging on the gallows that were intended for Mordechai. The euphoria was a combination of realising we had just witnessed the greatest military victory in Jewish history, as well as the restoration of those parts of the land of our past that had been denied to us. Before the Six-Day War Israel didn’t possess a single significant Jewish holy site. In some way, the state had been emptied of its religious content, of its soul. After the war we experienced the return to the Western Wall, to the tombs of the Matriarchs and Patriarchs in Hebron and to Rachel’s Tomb near Bethlehem as a restoration of everything that had been taken from us. My parents’ generation had no access to their ancestral graves – either because they were forced to leave them behind (in the case of Jews from the Arab world) or because they didn’t even exist (in the case of many Holocaust survivors). So to return to the ancestral graves of the first Jews was some kind of compensation for everything which had been denied for generations. I remember powerful but conflicting emotions converging. Not only sitting with my father in anguish about the possibility of another Holocaust, but also standing with my father at the Western Wall and seeing him become a religious Jew again. After the Second World War he had stopped praying, yet after the Six-Day War he felt he could forgive God, which reflects a very Jewish way of navigating one’s relationship with God. My father never stopped believing in God but didn’t think He deserved the prayers of the Jewish people. Yet at the Western Wall my father made his peace with God, and became a devout Jew. What happened to my father also played out in the Jewish people. And I think 1967 becomes the moment when many Jews feel they can once again speak about God without too much irony. The war becomes the counterbalance to the Holocaust. While it doesn’t negate it, it creates an additional emotional pillar – despair and fulfilment – of Jewish being. And both happen to the same people in the same generation, which creates the grounds for a manic-depressive contemporary Jewish personality. CB-D: In your book Like Dreamers you describe your aim as creating a narrative history of the post-1967 left-right schism, told through the lives of a group of paratroopers. You also refer to the conflicting certainties in Israeli society that divided those who saw the results of 1967 as a blessing from those who saw them as a curse. How would you define the schism? Are there specific events that caused it? YKH: There are Jews whose primary memory of that time is our vulnerability and loneliness before the war (May 1967), which often leads people to a hawkish mindset. They believe that there is no one to depend on but ourselves and it’s only when the Jews prove we are powerful that the world pays attention to us. There are also those who emphasise the great military victory (June 1967). They no longer see Israel as being vulnerable but rather as the military power in the Middle East, and believe the country can afford to take risks for peace. Personally speaking, I am both a May 1967 and a June 1967 Jew. In fact, these dates ‘argue’ inside of me constantly. Similar to how my father would go back and forth between the Holocaust and the Six-Day War, I feel myself going back between May 1967 and June 1967. CB-D: You argue that more than merely a story about a right-left divide there is a story about the fate of Israel’s competing utopian dreams, and how the Israel symbolised by the Kibbutz became the Land of Israel symbolised by settlement. How would you describe that story? And how have both the Kibbutz movement and settlement movement changed and evolved since 1967? YKH: A couple of years into my writing I realised this book was not just about Left and Right in the paratrooper brigade that fought in Jerusalem, but was a deeper story of the meeting between religious Zionists, who would become leaders of the settler movement, and Kibbutzniks within one brigade at the most charged, mythic moment in Israel’s history. In retrospect I see this meeting as some kind of changing of the guard. It was not clear at the time because the Kibbutz movement was still vital, the symbol of Israel around the world, and it still possessed this very strong ideological sense of its mission to create an egalitarian Israel, and the religious Zionists had not yet coalesced into the settlement movement, which of course happened after the Six-Day War. Both the kibbutz movement and the early settlement movement were utopian movements in the sense that they believed the return of the Jewish people to the Land of Israel was not only an earth-shattering event for the Jewish people, but would also transform humanity. In its early years, the kibbutz movement imagined that Israel would be a laboratory for a new radical egalitarianism, a place where democratic communism would happen on a mass scale. The settlement movement believed the return of the Jews home would be the trigger for the messianic era. Neither movement wanted an Israel like all the nations but something more. In that sense, two camps existed in Israeli society but not the ones we tend to think of. Rather than religious vs. secular or left vs. right, these camps were ‘normalisers’ and the ‘exceptionalists’. CB-D: If both the Kibbutz movement and the settlement movement were ‘exceptionalists’ why did the former decline and the latter become more powerful? YKH: In retrospect the 1967 victory opened up an ideological confusion and demoralisation in the Kibbutz movement, and simultaneously energised religious Zionism with ideological certainty. The Marxist wing of the Kibbutz movement had to some extent already gone through a crisis with the exposure of Joseph Stalin’s crimes by Nikita Khrushchev in 1956, which led most Kibbutzniks to re-examine the pro-Stalin orientation within the Marxist wing of the movement. But the general pro-Soviet (as opposed to pro-Stalin) orientation of the Marxist wing remained until 1967, when young kibbutzniks returned home from the front and told their parents that their romance with the Soviet Union – which armed the Arab states and in many ways initiated the war – was over. The war broke the Marxist, pro-Soviet certainty within parts of the Kibbutz movement. People I spoke to while researching the book compared this to ‘a shattering of faith’. Added to this was the initial sense of confusion over Israel becoming an occupier of another people. Kibbutzniks could not understand how they, the children of the utopian dream, raised and imbued with egalitarian fervour, could now be occupiers. A different process was underway among the religious Zionists, many of whom had grown up feeling as if they were second-rate Israelis. While most of Israel’s national heroes were secular Kibbutzniks, religious Zionists were not the front rank of pioneers or fighters in the army. Yet following the war, young religious people who had fought as paratroopers in the battle for Jerusalem came out of that experience empowered with ideological fervour and certainty. This meeting of certainty and confusion is best demonstrated during an evening in Jerusalem a couple of months after the war. Several kibbutzniks were in the process of putting together a book called the Seventh Day, which comprised interviews with soldiers from the Kibbutz movement in order to help them unpack their emotions. The editors saw the religious Zionists as moral partners and so they sought out religious Zionist soldiers with the aim of including them in the interviews. The kibbutzniks discuss what they refer to as the anguish of occupation and their ambivalence towards having to kill for the first time – one young kibbutznik described how he felt guilty for shooting Egyptian soldiers. Yet, not only did the religious Zionist soldiers possess no guilt, but they spoke a completely different language. One of them was appalled at his fellow fighter’s ambivalence. ‘But you’re a soldier of the IDF… you’re defending the people of Israel against those who came to destroy us after the Holocaust.’ Another kibbutznik replied, ‘What about the Jewish value of saving life, what about the Jewish value of honouring life?’ and the religious Zionist responded, ‘I honour human life, but not that of my enemies who want to destroy my people’. The two sides had a complete breakdown in communication. They were speaking from two opposing sensibilities. Ironically, it was the secular kibbutzniks – who initially believed the goal of Zionism was to create a normal nation to de-mythologise the concept of the chosen people – who in effect were demanding Israel act like a chosen nation and care more for human life, even in war. And it was the religious youth – imbued with the idea of chosen-ness – who were advocating for a normalised Israel that would respond towards its enemies in the way that any other country would act. Part of the disconnect being played out in these discussions constituted the moment that coalesced the beginning of the decline of ideological certainty among the kibbutzniks, and the beginning of ideological fervour among the religious Zionists. CB-D: The settlement movement, which you describe as being imbued with ideological certainty following 1967, has also evolved in recent years, perhaps most notably in light of the disengagement from Gaza in 2005. How would you describe the process it has undergone? YKH: The war in 1967 represented a kind of culmination for many religious Jews (a similar moment of culmination for the peace movement occurred when Egyptian President Sadat came to Jerusalem in 1977). While for the religious Zionists the establishment of the state in 1948 signified ‘the beginning of the flowering of our redemption,’ 1967 was perceived as demonstrating that the beginning of flowering had become a full blossom, and many believed there was a need to respond to the moment. On the Right there was a sudden surge of restlessness and urgency. The settlement movement was born in 1967, but didn’t really take off as a formal movement until after the Yom Kippur War when the Labour government loses much of its aura and credibility and religious Zionists succeed in stepping into the breach and replacing the secular pioneers as the new avant-garde. The movement was aided by the backlash in Israeli society following the 1975 UN General Assembly vote equating Zionism with Racism. I came across op-eds in the Hebrew press from that time arguing that while they hadn’t supported settlements, perhaps the world needed to hear a clear Zionist response to the resolution. The settlement movement successfully stepped in at this moment of Israeli anger and despair towards the international community and galvanised those emotions. The settling of Sebastia in Samaria in December 1975 becomes the moment when the settlement movement becomes a permanent part of the Israeli landscape. In one sense, the settlement movement is today more successful than its founders could ever have imagined. There are over four hundred thousand Israelis living in the West Bank and that’s excluding East Jerusalem. On the other hand, the movement has ideologically shifted from the boundless optimism of its messianic origins into a kind of a grim, even apocalyptic sensibility. Today’s leadership primarily focuses on averting a possible withdrawal which would leave Israel vulnerable to the point of not being able to adequately defend itself as opposed to the early settlement movement, which possessed a feeling of transformation and saw itself as replacing the Kibbutz movement. Yet the settlement movement started to lose its utopian character – its messianic certainties – with Israel’s withdrawal from the Sinai Peninsula in 1982 and certainly by the withdrawal from Gaza, which in some ways was the final blow. That’s not to say that there aren’t currently pockets of messianic fervour among the settlers. But as a movement the settlers are far more focused on averting catastrophe than on bringing the messiah. Of course they had lots of help from the Palestinian leadership and from the Second Intifada, which created a sense of despair among Israelis. Yet ultimately, because a ‘normalising sensibility’ has prevailed in the settlement movement, it has lost its messianic edge in the same way that the kibbutz movement did. CB-D: In your book you argue that each new utopian dream – socialist perfection, the wholeness of the land, normalising the Jews as a nation among the nations – successively faltered. Do you believe that utopianism died because it came up against the harshness of reality? YKH: The utopian daring within Zionism resonated deeply with me even though my own biography is very different. I grew up in Brooklyn as a much-traumatised, post-Holocaust child of survivors and gravitated to Beitar, the right-wing movement of Ze’ev Jabotinsky and Menachem Begin which I joined when I was 13. At summer camp we were taught how to shoot because the ‘Nazis were coming’. But as I’ve gotten older I’ve come to cherish the utopian instinct within Zionism, the notion that Israel needs to stand for more than its own survival, regardless of whether one agrees with the political consequences of our utopian movements. But utopian dreams are now gone to a large extent – both in the kibbutz movement, and in the settlement movement. At the same time, I think we paid a very high price for the messianic fantasies of the Jews. 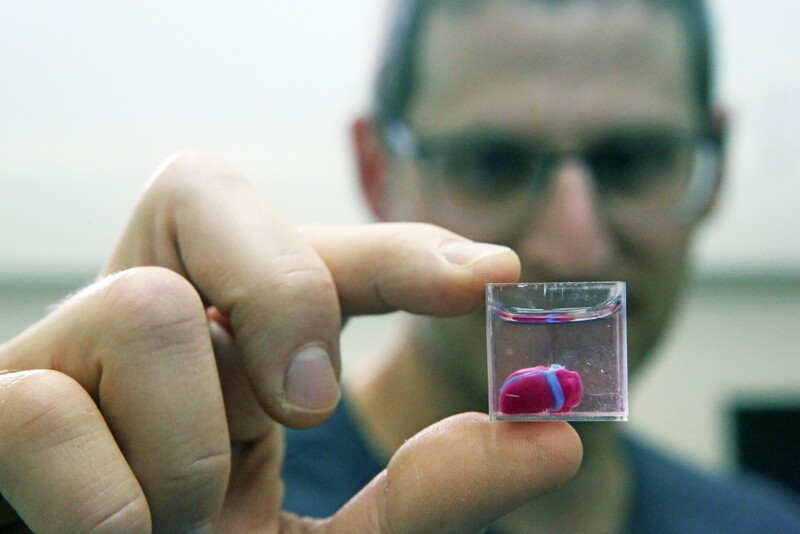 It took us into all kinds of dead-ends, and now we are living in a post-utopian Israel. The kibbutz movement faltered because economically it was unsustainable, while the settlement movement lost its messianic fervour because it is absurd to turn the agonising situation in the territories into a messianic celebration. The Jewish people, even many Jews who support settlements, just don’t buy it – that’s not what redemption was supposed to look like. So these messianic utopian fantasies were not sustainable. The kibbutzniks and settlers made the same mistake. They both tried to impose a utopian vision on political realities. And utopianism and politics are opposing sensibilities. Utopianism is imagining the world as it could (perhaps should) be, and politics is dealing with the world as it is. Politics is inherently limiting – it can’t contain the expansiveness of the utopian vision which belongs in one’s spiritual life. And when that vision is transferred into politics or economics it inevitably fails and creates disappointment (or worse). In fact, the 20th century is in large part the story of the disasters brought by utopian movements. This is the first time in the history of Zionism and the State of Israel where there is no utopian avant-garde leading the way. For the formative period of Zionism and the early years of the state we had the kibbutz movement. From the 1970s and 1980s we had the settlement movement. Now the reality of a normalised society – as normal as Israel could ever be – seems to be the prevailing sentiment. 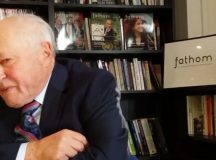 CB-D: You have said that the heroes of the book are those who constantly test their ideological premises against reality and who have the courage to concede the limitations of their ideas and subsequently pay a price. What you seem to be describing is an ongoing conversation between ideology and vision on the one hand, and a changing reality on the other. The book ends in 2004 and ‘reality’ has subsequently changed again, and in ways that significantly challenge both the settlement movement and the peace movement – disengagement from Gaza, two failed peace processes (Annapolis and Kerry), Hamas taking over Gaza etc. How do you think Israeli society has changed since the book’s publication? YKH: Let me try to answer by taking a step back. Just as the First Intifada in the 1980s convinced the majority of Israelis that the settlement movement would not bring security, the Second Intifada in 2000 convinced the majority of Israelis that the peace process would not bring peace. The public concluded that both ‘Greater Israel’ and ‘Peace Now’ were different kinds of illusions, utopianism in political form. This realisation brought Ariel Sharon to power in 2002, and his evolution from the father of the settlement movement to the man who uprooted the settlements in Gaza is one of the extraordinary political transformations in Israel’s history. 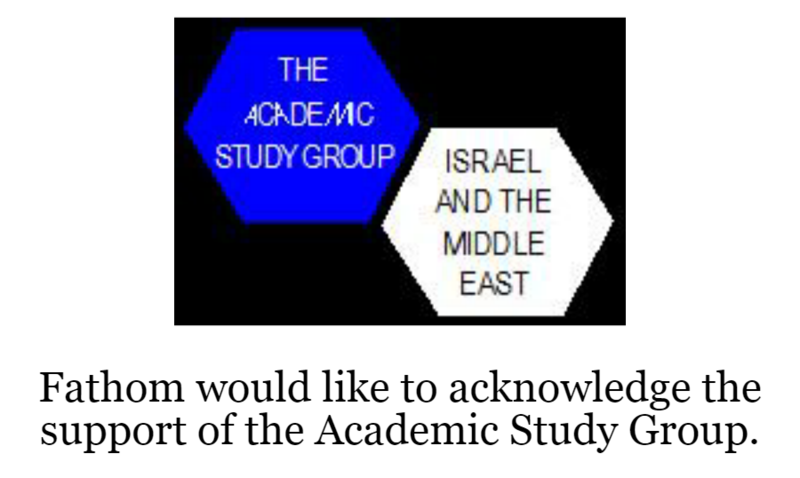 However, centralist unilateralism was challenged by the wave of rocket attacks against Israeli communities bordering Gaza and during the Second Lebanon War – which many blamed on Israel’s withdrawal from southern Lebanon six years prior. These attacks substantiated all the warnings of the right-wing that territorial withdrawals would make Israel more vulnerable. The Israeli public therefore concluded that it tried the settlement movement to bring security but that failed during the First Intifada; it tried the peace process which failed during the Second Intifada; and it tried unilateralism that ended with tens of thousands of rockets on Israeli communities. The successive failure of Israel’s various ideological approaches to trying to deal with the Palestinian issue – right, left and centre – led the public to decide the best option was simply not do anything for the time being – the status quo became the default position for a majority of Israelis. Yet what happened with the recent wave of knifings is that Israelis realise there is no such thing as a status quo. You can’t freeze this situation – it’s too dynamic, too volatile. So the status quo doesn’t work either, and most Israelis today don’t have a clue of what to do. I think this helps explain Prime Minister Benjamin Netanyahu’s extraordinary longevity because he embodies this Israeli sensibility that says yes to a two-state solution in principle but no to actual implementation. CB-D: You write about the unravelling of the Israeli consensus, and describe your aim in writing Like Dreamers as the reclamation of the optimism on which Israel had been built. What did you discover? YKH: In some ways I think that Israel is more united today than it was in the past, and in other ways less united. Where we are less united is over democracy. In the past there was broad consensus that there are two central pillars of our identity – that Israel is a Jewish majority state and a democratic state. Yet today there is a growing number of Israeli Jews who are questioning Israel’s dual identity as a Jewish democratic state. If there is any divide that has the potential to break Israeli society it is the divide over democracy because for Liberal Zionists the democratic component of Israel is a red line. What worries me about the future of Israel is this widening gap between those who see democracy as essential to Israel’s makeup as its Jewishness, and those who increasingly view democracy as expedient or even see democratic norms as a threat to Israel’s ability to defend itself in the Middle East. At the same time we are more united in our ability to come together during military conflict. When I moved to Israel in the summer of 1982, the country was in the beginning of (what we now call) the First Lebanon War. Israelis were literally shouting at each other on street corners using words like ‘warmonger’ and ‘traitor’ and there were mass demonstrations against the war. This was the first time that Israelis had not only failed to unite around a war but were divided by it. That has completely changed. Every conflict that we have been involved in since the year 2000 – when the Second Intifada of suicide bombings began – has been defined by massive reserve soldier turnout. We get 110 per cent mobilisation – people arrive at their units even if they haven’t been called up. And these are wars that are extremely unpopular abroad – Operation Defensive Shield in 2002, the Second Lebanon War in 2006, and our repeated conflicts with Hamas in 2008-9, 2011 and 2014. Israeli society is not one that ‘falls into line’. We argue about everything. So where does this vast disparity of perception come from – where the international community think our wars constitute war crimes whereas Israeli society unites? Why in London are there tens of thousands of people marching against an Israeli attack in Gaza, and in Israel the streets are empty? I think that’s an indication of what we have regained, which is a sense of what we used to call in this country ‘wars of no choice,’ the feeling that we have to pull together and defend ourselves because we are facing an enemy that isn’t interested in compromise. By force of circumstance we’ve regained a measure of cohesion – at least during war time – which I as an immigrant from 1982 don’t take for granted. I also identify a transformation in secular-religious tensions. To some extent the ‘secular/religious’ divide has been replaced by an ‘ultra-orthodox/everyone else’ divide. In the ‘everyone else’ camp there are moderate Orthodox religious Zionists, traditionalists and secularists. It’s a broad generalisation but among the secular there is a growing interest in tradition, as well as a growing movement among religious Zionists to view themselves as closer to the Israeli mainstream. We saw this during the previous government when Yair Lapid and Naftali Bennett joined together to keep the ultra-orthodox parties out of the coalition. It was short lived but I think it was an historic moment that will play itself out again in the future. The unity I see emerging offers the basis for a deeper unity than in the past. The unity of May-June 1967 was necessarily fleeting. It was so intense that it could not possibly be sustained. Now I see the grounds for a deeper, more sober unity. CB-D: The unity of a post-utopian reality? YKH: The unity that comes after the shattering: One that recognises and respects the radical diversity of Israeli society, that doesn’t try to impose a notion of proper Israeli-ness, which had been the kibbutz movement to some extent. Today I see an Israeli society that is chastened, more humble, and that possesses an ability to speak to itself in more reflective and respectful tones. I know that is not the perception abroad but that’s the reality I more or less live.